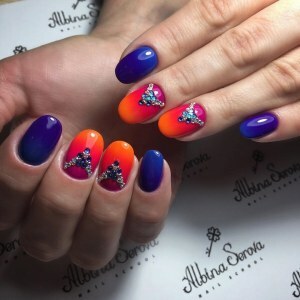 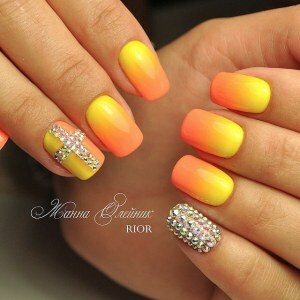 blue gel varnish, gradient on the nails, shades of orange, crystals, oval nails. 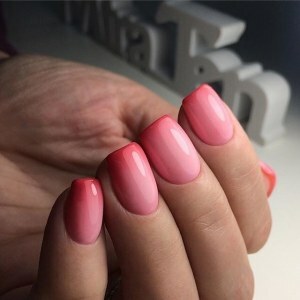 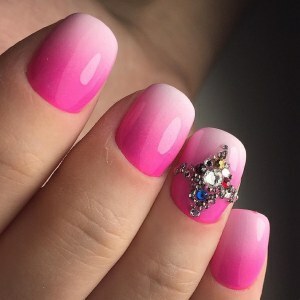 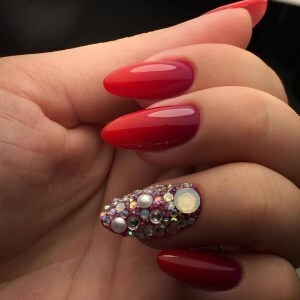 Simple pink gradient nail art idea. 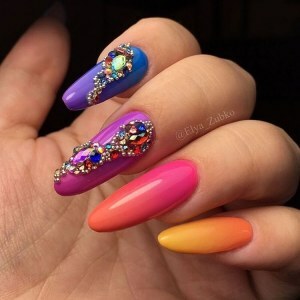 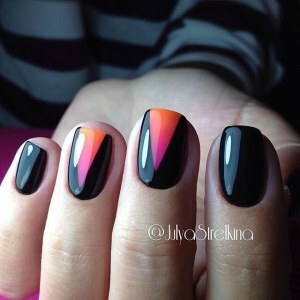 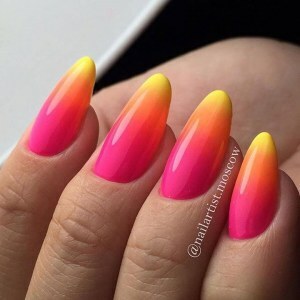 Cool gradient nail art idea.